A Joseon Dynasty scholar, Bumjo Jeong, spoke highly of the endlessness of summer with the words, “Ha Ja Cheon Ji Deok (夏者天之德).” This phrase means that the season’s vibrant energy stimulates the growth of all beings, like the virtuous nature of heaven. According to the lunar calendar, the 4th, 5th, and 6th months are considered the summer months. During this period, several holidays are celebrated. Buddha’s birthday is in the fourth month; Dano, the spring festival, is held in the fifth month; and Yudu, the festival of washing away negative energy, takes place in the sixth month. This time also encompasses a number of seasonal markers, including Ipha, the advent of summer; Soman, the time for growing grain; Mangjong, the time for maturing grain; Haji, the summer solstice; Soseo, the time of minor heat; and Daeseo, the time of major heat. The Buddha’s birthday in the fourth lunar month has been celebrated since the era of the Three Kingdoms (57 B.C.-668 A.D.). 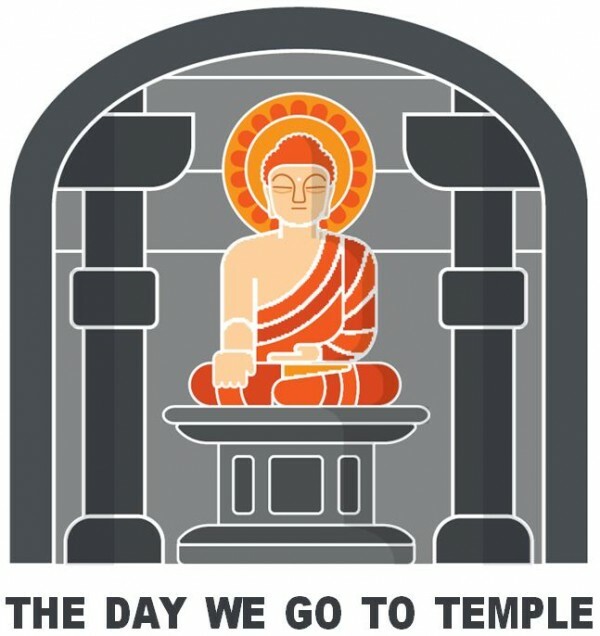 Even during the Joseon Dynasty (1393-1897 A.D.) when Buddhism was systematically oppressed, the Buddha’s birthday expanded into a major holiday, widely celebrated by many people. Yeondeunghoe, the lantern festival, also developed as traditional customs are observed in the first, second, and fourth months. In the midst of these developments, Buddhism expanded significantly, from the privilege of the ruling class to a religion of the general public, and the celebration of a job well done among common people, who took a short break from laborious farming before beginning to plant the rice. Consequently, on Buddha’s birthday, people enjoyed various Buddhist activities. For instance, every household in the village hung lanterns at home or floated them on the river. People also took part in lantern-lighting activities and passing around a stupa. With its double ‘five’s,’ Dano is celebrated on the fifth day of the fifth month, filled with the vibrant energy of summer, the positive energy of the sun, which is the highest of the year. Along with New Year’s Day, Hansik or “Cold Food Day,” and Chuseok, or Thanksgiving Day, Dano is one of the four major holidays. On this day, we can find records of a memorial ceremony for ancestors as well as the gods in heaven and on earth, dating back to the time of the three kingdoms. Subsequently, the celebration of Dano has continued in the various communities of many regions. It may take on the form of performances, like ancestors’ ceremonies, goot, or shamanistic rituals or other activities. Among them, the Gangneung Danoje Festival has been included on the list of Intangible Heritage of Humanity by UNESCO. Additionally, as its positive energy from the sun at its fullest on Dano, it is the perfect time of the year to defeat all evil spirits. Thus, the use of written amulets is very popular during this time as well. Summer fitness activities, like riding swings and Korean wrestling are also very common. On Yudu on the 15th day of the sixth month, when summer heat is at its peak, the tradition of enjoying a day in the cool water of the valleys has become quite widespread over the years. Just like Dano, its custom of deflecting evil spirits with the positive energy of the sun has continued up until Yudu. In one special tradition on this day, people bathe in water flowing from the west to the east, which is considered the best water, in harmony with nature. Among the 24 seasonal divisions by the solar calendar, the 5th day of the fifth month is Ipha, the advent of summer, and the 21st is Soman, the day of growing grain. On Ipha, the start of summer, when rice sprouts and barley comes to ears, the hills and fields are covered in green and the croaking of frogs fills the air. Soman is the time for growing grains, so all sentient beings start to thrive at full strength; that is, ‘so’, they grow gradually, and ‘man’ to their fullest. According to the I Ching, or the Book of Changes, an ancient divination text and the oldest of the Chinese classics, the positive energy from the winter solstice emerges following Ipchun, the advent of spring, and Ipha, the advent of summer. By the time Soman arrives, its energy is at its peak. Though the summer seems to have just begun, positive energy is at its fullest on Soman. Following this day, not only does the yang energy decline, but ying, or negative forces, also begin to emerge. Furthermore, the energy underground is in opposition to the air, so it said that its power is the coldest down there. The day called Mangjong, the time of maturing grain, takes place on the 6th day of the sixth month. Haji, the summer solstice, takes place on the 21st day of the solar calendar. There is an old saying, “Don’t cut barley before Mangjong,” so this is the season of cutting barley, and planting rice seedlings. This is the best time of all, as cutting barley must be finished before the planting of rice seedlings and the plowing of fields for sowing beans may begin. Many of these tasks need to be done quickly; thus, even crude-sounding sayings, like “A fire-poker can do its job,” or “Just pee on your foot,” became popular at this period. Haji has the longest day and the shortest night. Additionally, this was the time to juggle field work, as well as get ready for either a rainy or drought season. If there was no rain in the rural areas by Haji, a rainmaking ritual would be performed. According to the solar calendar, the 7th of the seventh month is Soseo, the time of minor heat, and the 23rd is Daeseo, the time of major heat. By Soseo, the heat wave is at its full scale, and it is the start of the rainy season. Fruits and vegetables are abundant and wheat and barley are also available for everyone. Daeseo is the hottest period, with the second of the three dog days of summer, so it is literally filled with the scorching heat of the sun, like being in a hot oven, but sometimes rainstorms persist. At this time, school is out, and it is a vacation season, so field laborers can take a brief break from farming, away from the scorching heat – a time to recharge depleted energy with various activities like splashing water and holding festivals in villages.